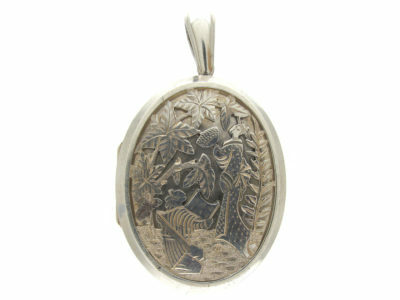 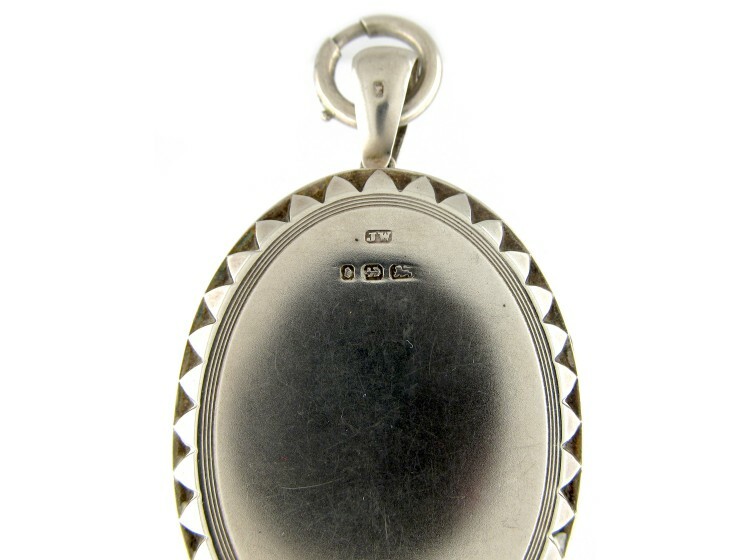 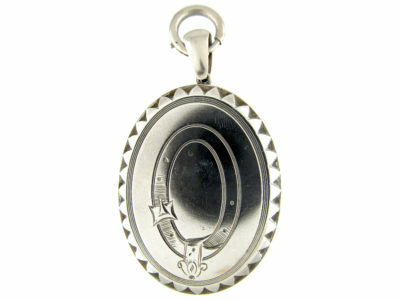 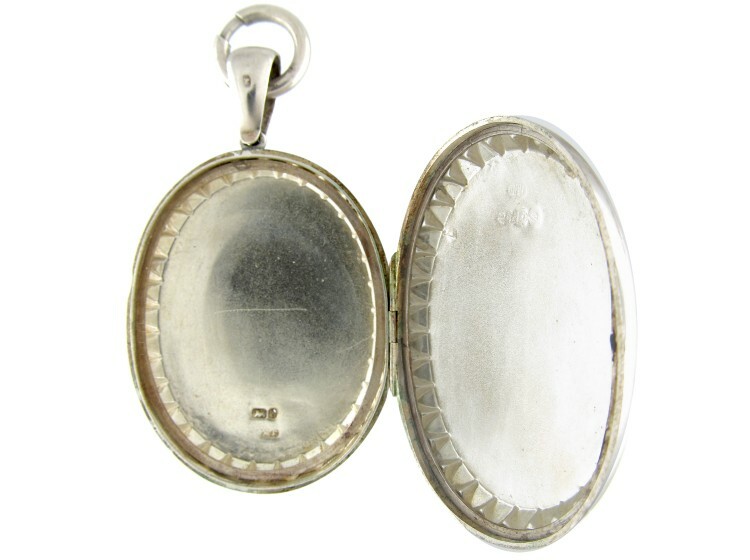 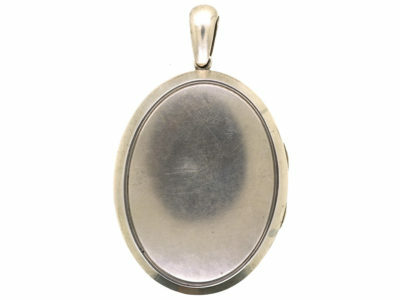 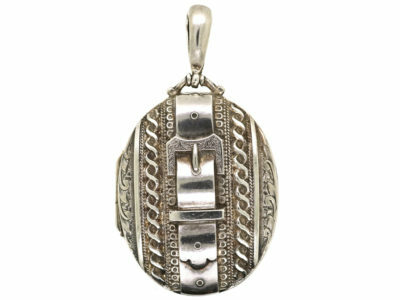 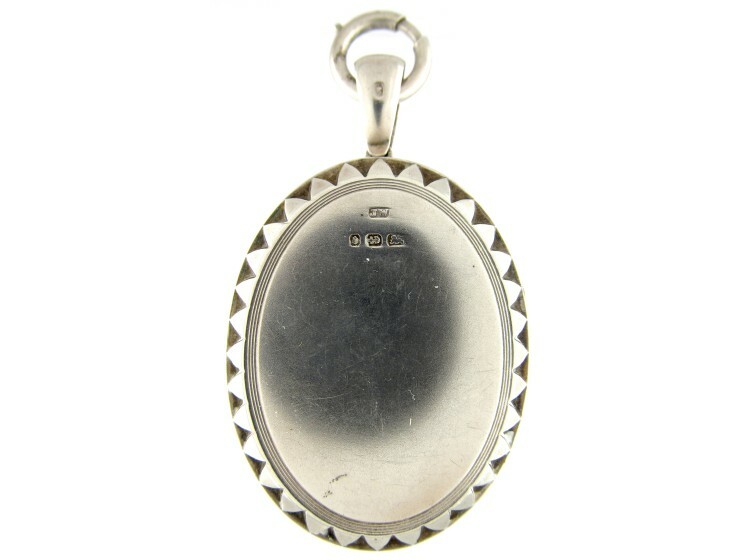 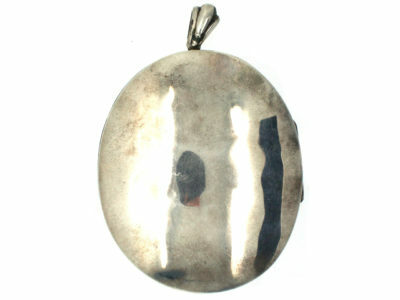 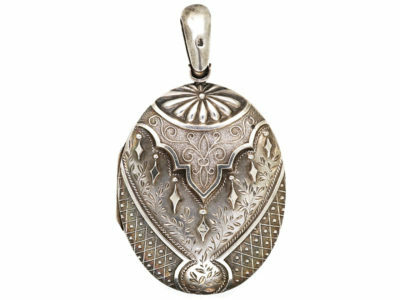 An impressive silver oval locket that was made circa 1880. 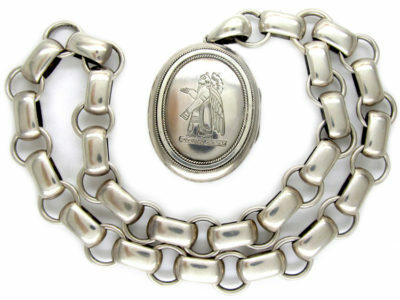 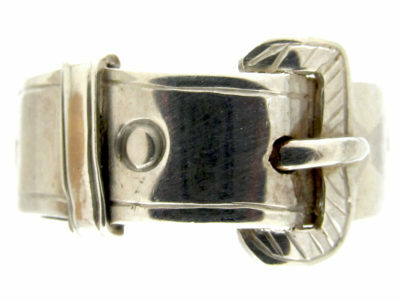 It is engraved with a garter or buckle. 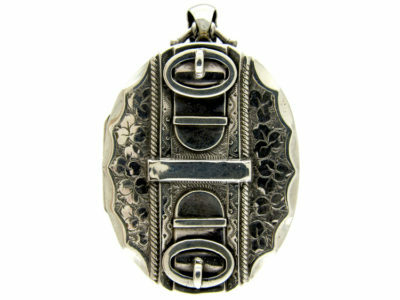 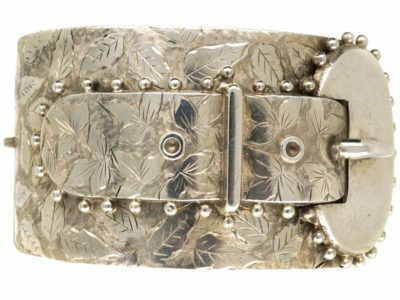 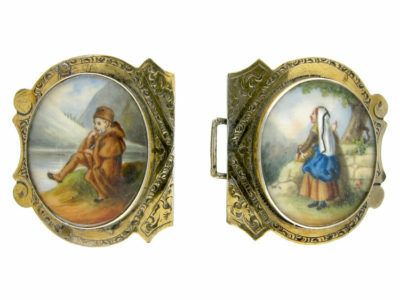 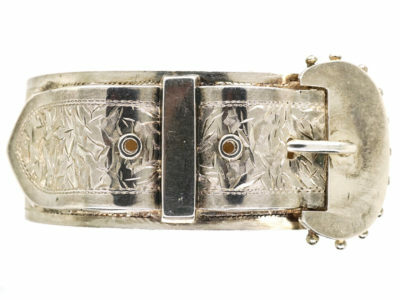 The buckle is not only a decorative border, but is in fact wrapping itself around the locket in an eternal loop that forever holds tight. 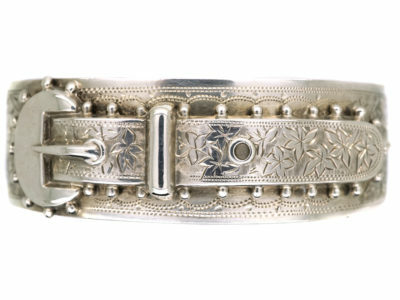 It would have been a gift of love with photograph sections inside for the couple.